A Space Marshall sent to face it all alone. Space Marshall Kyle Mackey is a Gate Keeper - one of the members of the Space Marshall Service to watch for unauthorized entry through the portal that allows near-instantaneous travel between Earth and Mars. But when his ship is attacked by a hijacked star freighter, Mackey feels something's not right. 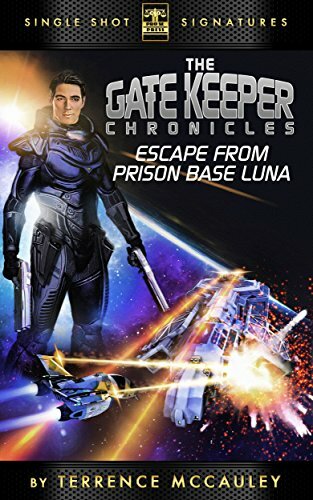 And when he's sent to investigate a downed transmitter at the moon's Prison Base Luna, he's absolutely sure of it. The only question: can he find the answers he needs before he loses his life? You can buy the first installment for $0.99 by clicking here.